A historic joint venture with India’s Tata will unshackle the German group from the fickle, capital-intensive steel industry. Lower pension liabilities, a share of synergies worth 3 bln euros and a more robust balance sheet are further benefits. Workers will fare better too. German engineering group ThyssenKrupp and its Indian rival Tata Steel have signed a memorandum of understanding to pool their European steelmaking operations into a joint venture, the companies said on Sept. 20. Both companies will hold a 50 percent stake in the new company to be named ThyssenKrupp Tata Steel. The combined group will have annual revenue of around 15 billion euros and produce about 21 million tons of steel a year. The combination is expected to deliver annual cost synergies of between 400 and 600 million euros. This will lead to the loss of about 4,000 jobs across the two companies. The two companies expect to sign a final agreement in early 2018, and to receive regulatory clearance by the end of that year. 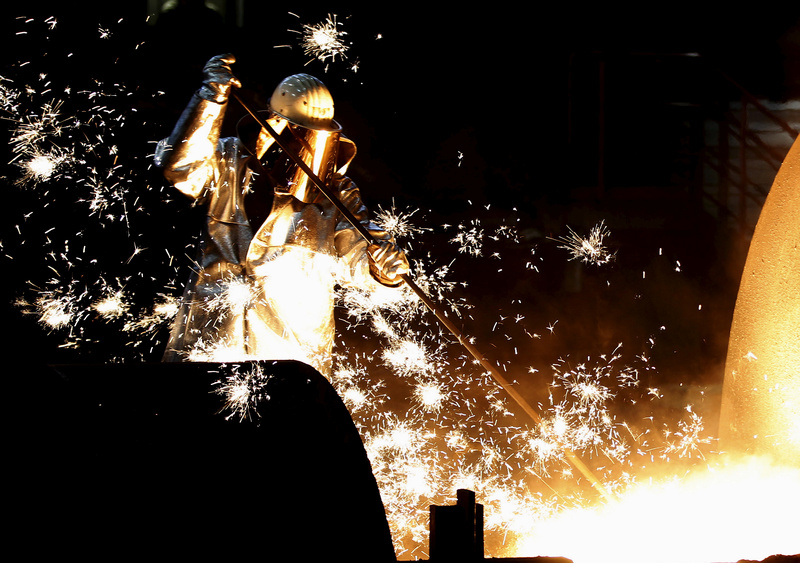 ThyssenKrupp shares were up 2.6 percent at 25.90 euros by 0800 GMT on Sept. 20.